During this 3-hour workshop fragrance specialist Diana Rankin will captivate you with a historical journey of fragrance while exploring the deeper significance of perfume in everyday life. Diana will also touch on the importance of the sense of smell, give us a glimpse into fragrance families and the essence of perfume personality. With the foundational techniques of blending fragrance notes she will then guide you in creating your very own summer fragrance. 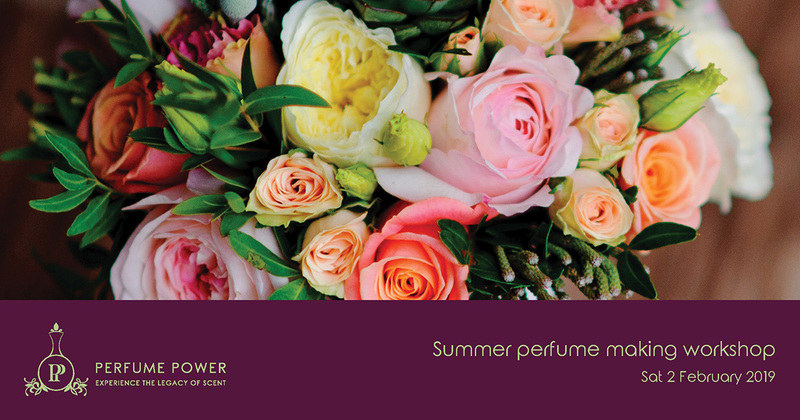 Our summer season perfume making workshop is suitable for fragrance lovers and novices. This workshop offers introductory knowledge on perfume creation. After which the intermediate and advanced workshops can be attended to build on this foundational workshop. It is a great activity for moms and daughters, friends and partners. It also offers as a wonderful gift of appreciation and entertainment for a loved one or work colleague! Quality imported fine fragrance oils, a professional perfume making kit, an elegant 15 ml take-home perfume bottle and gift bag. Refreshments and delicious snacks.